Breaking Bad fans, you’ve got some major good news coming your way. Earlier, Albuquerque Journal reported that the famous American crime drama series, which aired on AMC for five seasons from 2008 to 2013, was set to return under the label ‘Greenbrier’, based on a source close to the production. /Film has followed up with an exclusive revealing that the movie will be a sequel to the series’ finale, where this “kidnapped man” is none other than ‘Jesse Pinkman’, who was played by Aaron Paul. The film will chart his getaway from Albuquerque following the finale’s bloody occurrences. 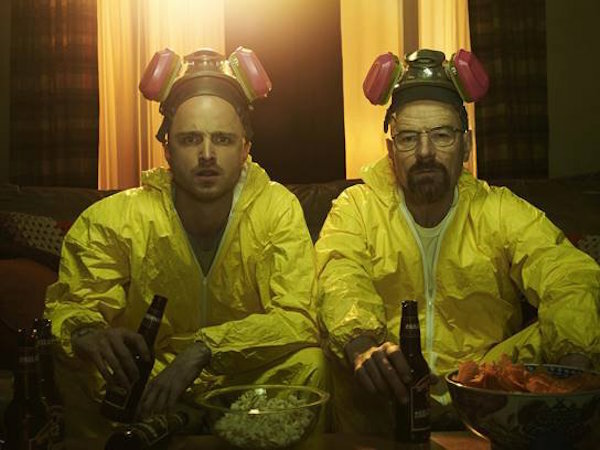 While Albuquerque Journal noted that details on which characters would return to the movie had not been released, /Film reports that Paul is locked in to reprise his role as the crystal meth cook and dealer. According to the New Mexico State Film Office, production for ‘Greenbrier’ is scheduled to initiate mid-November 2018 and proceed through early February 2019, leaving the anticipated film release with a 2019 date.